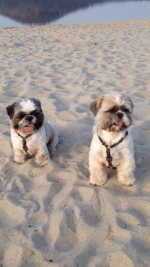 Jim and barry : We have two beatiful Shih Tzu (Barry - 2010 and Ji... [more] Shih Tzu White Dublin €100 Shih Tzu in DublinAvailable for stud ! 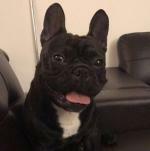 Jack : Jack is one year old frenchie. He is very friendl... [more] Bulldog Black Cork €200 Bulldog in CorkAvailable for stud ! Hachi : Hachi is handsome looking strong pure bred Labrado... [more] Labrador Brown Galway €0 Labrador in GalwayAvailable for stud ! Mr bojangles : Black and tan french bulldog true to type short an... [more] Bulldog Black Clare €1000 Bulldog in ClareAvailable for stud ! 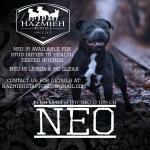 Pl ch brave spirit neo lt jun ch : Champion Neo now available for stud duties The... [more] Staffordshire Bull Terrier Blue (Kerry / Merle / Roan) Galway €800 Staffordshire Bull Terrier in GalwayAvailable for stud ! Murph : Very active pup with a huge personality. 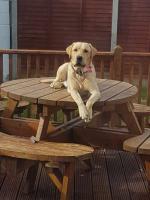 Brilliant... [more] Golden Retriever Yellow Dublin €200 Golden Retriever in DublinAvailable for stud ! Wesley : Fantastic brindle French bulldog with champion blo... [more] Bulldog Brown Limerick €500 Bulldog in LimerickAvailable for stud ! 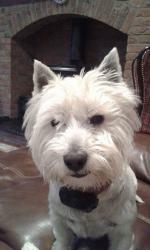 Ollie : Ollie is an intelligent, handsome and loving dog. ... [more] West Highland White Carlow €250 West Highland in CarlowAvailable for stud ! 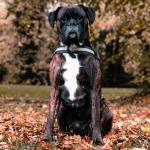 Brindle boxer at stud : Brody is a very friendly boxer. Great with childre... [more] Boxer Brown Kildare €300 Boxer in KildareAvailable for stud !